The perfect solution for edge banding of all sizes!The edge bander can be used for large sized wooden boards and half-finished wooden products. The board can be fixed in place while the hand-held edge bander proceeds.It can also be used for small sized wooden boards while the machine is fixed onto a conveyor belt or table with stand. The process of edge banding is the same for normal sized loads. Pre-heating time about 10 Min. 1. 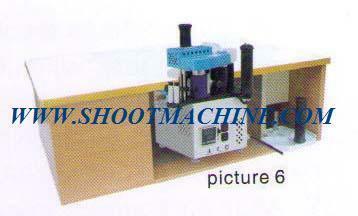 Video Portable Edge Banding Machine from Yantai Shoot Woodworking Machine Co., Ltd.
2. 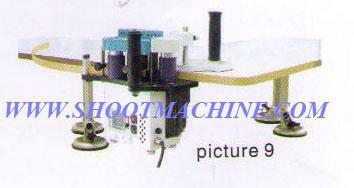 Video Portable Edge Banding Machine from Yantai Shoot Woodworking Machine Co., Ltd.
3. Video Portable Edge Banding Machine from Yantai Shoot Woodworking Machine Co., Ltd.